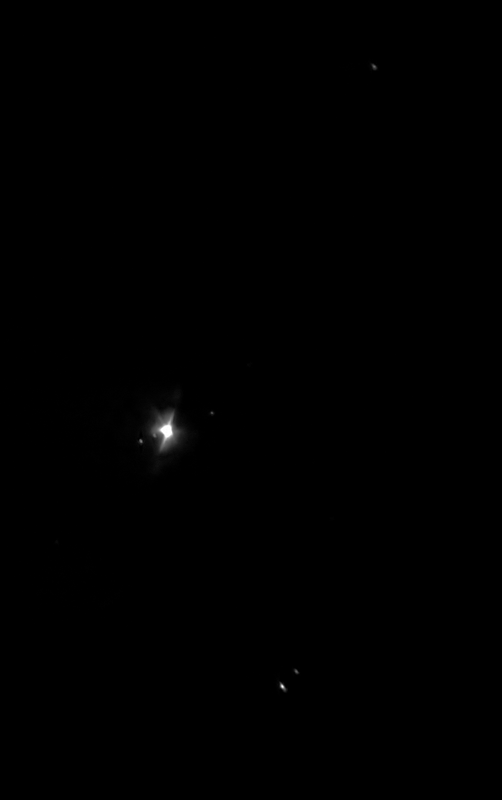 Jupiter and three of the moons (Ganymede, Europa, and Callisto) captured with a smartphone and binoculars. 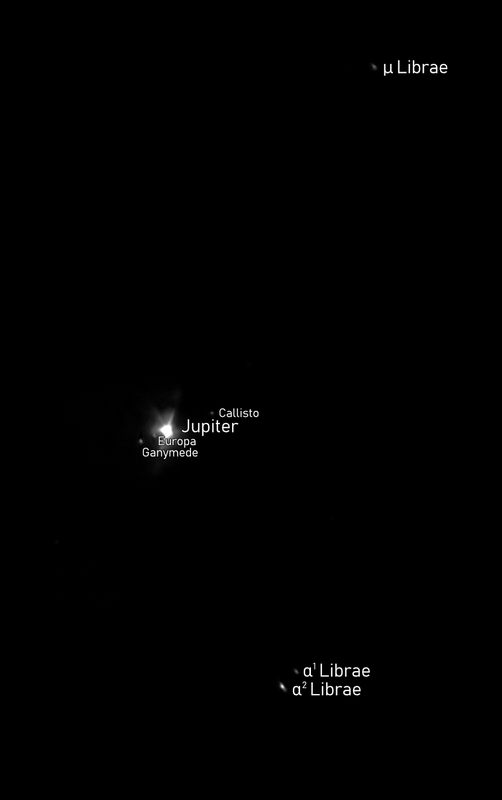 Io is too close to Jupiter to be visible. Also, the double star Alpha Librae (also known as Zubenelgenubi) is visible on the bottom right. Except where otherwise stated, the content of this blog by Jussi Laasonen is licensed under a Creative Commons Attribution-NonCommercial 4.0 International License. I have decided to declare this blog to be award free because I am not comfortable with the requirements usually associated with the awards. If you want to give recognition to my blog, please share, like and comment my posts.